Former Bruin Cheerleader Katie E. has invented a brilliant new product: The “Tillow” — It’s a beach towel with built in pillow and pockets — Please check it out and help her realize her dreams! I have been telling you for years that the members of the UCLA Spirit Squad aren’t just a bunch of pretty faces. Not only are they gorgeous, they are also creative, motivated, industrious, and super-intelligent. And once again, I bring you proof. 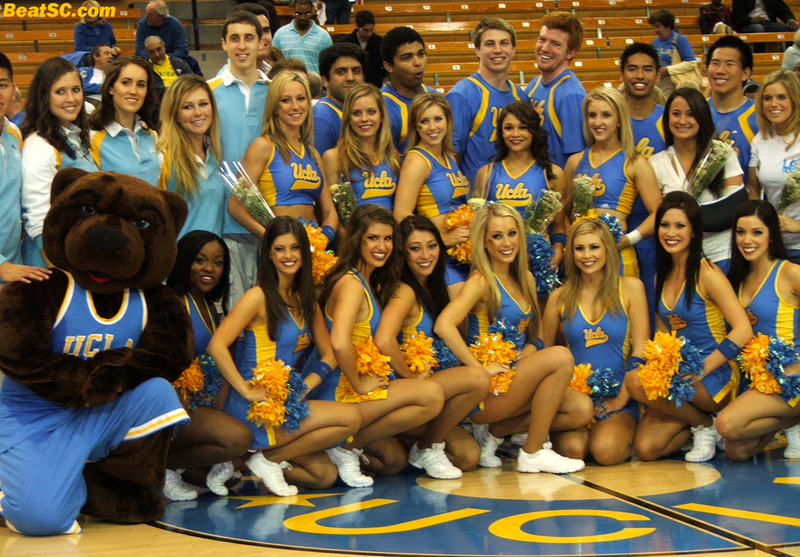 Exhibit K — Katie from the Cheer Squad of 2009, one of the all-time great years for the UCLA Spirit Squad. Katie has come up with a brand new product whose time has truly come: A beach blanket that includes a pillow for your head (so you don’t have to bunch up the sane underneath), a protected zipper pocket for your suntan lotion or valuables, and a ergodynamic waterprrof pocket for your smart phone, that allows you to use the phone without getting it wet or sandy. GENIUS, I say!! "GET CAUGHT WITH YOUR HAND IN THE TILLOW" was published on December 17th, 2013 and is listed in Blue & Gold News, Non-Rivalry News, UCLA/usc/Cheerleader Photos.